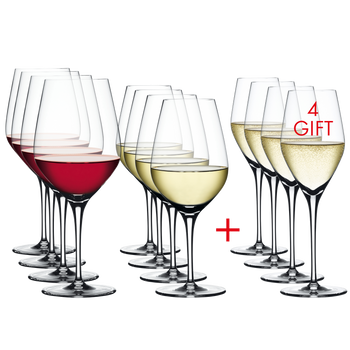 This set contains 4 pieces SPIEGELAU Authentis White Wine Small glasses. The elegant machine-made white wine glass of the fine-blown glass collection Authentis ensures that the aroma and bouquet of drink is transferred to the taster in a perfectly authentic way. Its generous bowl is shaped especially for white wines. Made of crystal this glass is durable and functional. These glasses are the result of highly specialized production processes combined with an in-depth understanding of wine appreciation. All SPIEGELAU glasses are dishwasher safe.